Jyoti means 'radiance' and lingam the 'mark or sign' of Shiva, or a symbol of the pineal gland; Jyotir Lingam thus means the The Radiant sign of The Almighty. There are twelve traditional Jyotirlinga shrines in India. 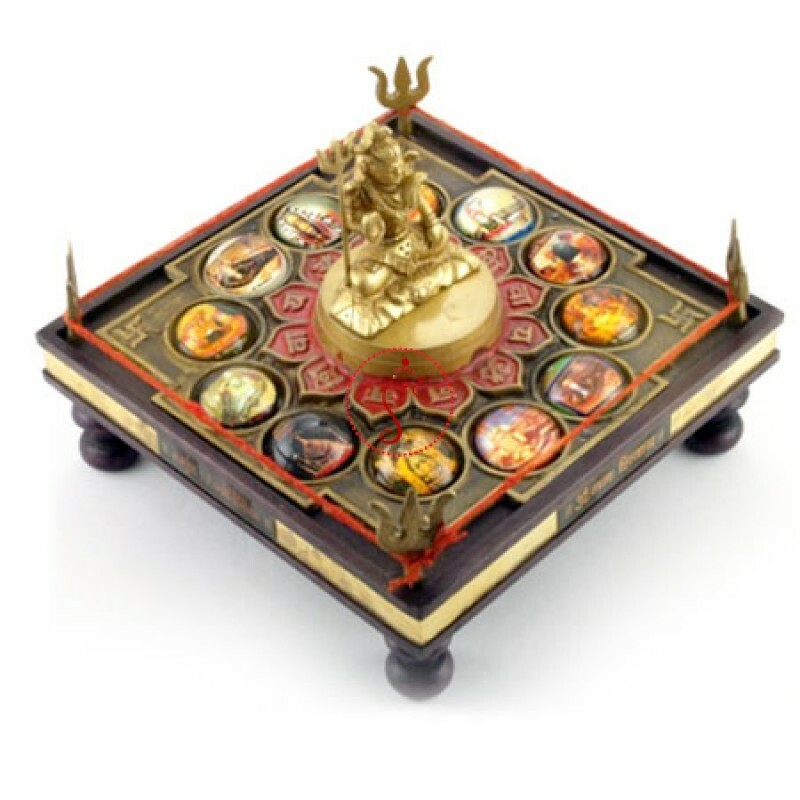 The special feature of this Chowki is that it has Lord Shiva idol surrounded by the images of all 12 Jyotirlingas. Somnath is traditionally considered the first pilgrimage site: the Dwadash Jyotirlinga pilgrimage begins with the Somnath Temple. The temple, that was destroyed and re-built sixteen times, is held in reverence throughout India and is rich in legend, tradition, and history. It is located at Prabhas Patan (Somnath - Veraval) in Saurashtra in Gujarat. Mallikarjuna, also called Srisaila, is located on a mountain on the river Krishna. In Kurnool District in Rayalaseema enshrines Mallikarjuna in an ancient temple that is architecturally and sculpturally rich. It is a place where Shakti peetha and Jyotirlingam are together. Mahakaleshwar Mahakal, Ujjain (or Avanti) in Madhya Pradesh is home to the Mahakaleshwar Jyotirlinga temple. The Lingam at Mahakal is believed to be Swayambhu, the only one of the 12 Jyotirlingams to be so. It is also the only one facing south and also the temple to have a Shree Yantra perched upside down at the ceiling of the Garbhagriha (where the Shiv Lingam sits). It is a place where Shakti peeta and Jyotirlingam are together. Kedarnath in Uttarakhand is revered as the northernmost and the closest Jyotirlinga to Lord Shiva's eternal abode of Mount Kailash. It is considered to be 1/2 jyotirlinga along with Pashupatinath in Nepal. Kedarnath forms a part of the smaller Char Dham pilgrimage circuit of Hinduism. Kedarnath, nestled in the snow-clad Himalayas, is an ancient shrine, rich in legend and tradition. It is accessible only by foot, and only for six months a year. It is also one of the Padal Petra Stalam of Vada Naadu mentioned in Thevaaram. The other half of Kedarnath is Pashupatinath in Nepal. Shiva assumed the form of wild boar and dived into the earth at Kedarnath to emerge at Pashupatinath. Pure ghee is applied at Kedarnath lingam as the boar was injured. Bhimashankar is very much debated. There is a Bhimashankara temple near Pune (pictured) in Maharashtra, which was referred to as Daakini country, but Kashipur in Uttarakhand was also referred to as Daakini country in ancient days and a Bhimashkar Temple known as Shree Moteshwar Mahadev is present there. Another Bhimashankar is in the Sahyadri range of Maharashtra. The Bhimashankar temple near Guwahati, Assam is the jyotirlinga according to Sivapuran. According to "LINGA PURAN", Bhimasankar temple in Bhimpur near Gunupur of Rayagada district in South Orissa is also believed as Bhimasankar Jyotirlinga, which is situated at the western part of the holy Mahendragiri mountains and at the river bank of Mahendratanaya(which is also believed as the Daakini area by many historian), was excavated in the year 1974, having quadrangular Shakti around the Linga and decorated by a Upavita as per the puran. Trimbakeshwar Temple, near Nasik in Maharashtra, is a Jyotirlinga shrine associated with the origin of the Godavari River. Baijanath Jyotirlinga Temple(also known as Baidyanath Dham)is located in Deoghar, Jharkhand . In the month of Shravana millions of devotee visit the temple. 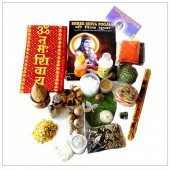 Bholebaba darshan during Shravan month attracts devotees from across India and overseas. 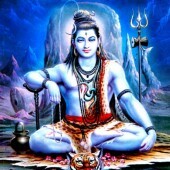 It is believed that once Ravan worshipped Shiva for years and requested his god (Shiva) to come to Lanka . Shiva manifested as shivaling and asked Ravan to not to put down anywhere until he takes it to Lanka. Vishnu intercepted Ravana in between and convinced him to keep it for sometime. Since then shiva resides as Vaijanath in Deoghar. Nageshvara Jyotirlinga is one of the 12 Jyotirlinga shrines mentioned in the Shiva Purana (Śatarudra Saṁhitā,Ch.42/2-4, referred as "nagesham darukavane"). 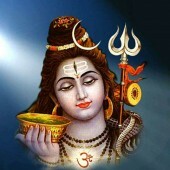 Nageshvara is believed as the first Jyotirlinga on the earth. 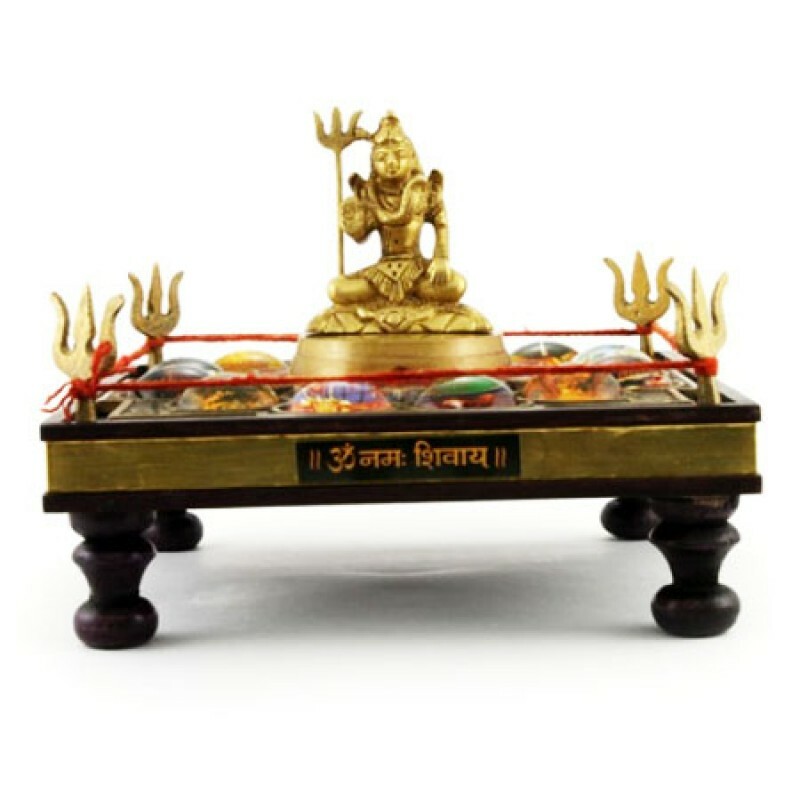 There are three major shrines in India which are believed as identical to this Jyotirlinga. Those are the Jageshwar temple near Almora in Uttarakhand state, the Nageshwara temple near Dwaraka in Gujarat state and the Nagnath temple in Aundha in Maharashtra state. Grishneshwar Jyotirlinga is one of the 12 Jyotirlinga shrines mentioned in the Shiva Purana (kotirudra sahinta,Ch.32-33 referred as "Grishneshwar Jyotirlinga"). Grishneshwar is believed as the Last or 12th (twelfth) Jyotirlinga on the earth. This pilgrimage site is located at a village called Verul which lies at a distance of 11 km from Daulatabad and 30 km from Aurangabad. It lies at a close proximity to the Ellora caves.